When your order is ready to be shipped, you will receive a shipment confirmation e-mail. The majority of our orders are shipped within 1-2 business days after the order has been placed. Pre-Order items will be shipped 7-10 business days after order has been placed. The e-mail will contain shipment details, your tracking number, and a link to the USPS site. To track the order, click on the tracking number provided in the email 24-48 hours after you receive the tracking number for an update. If the tracking has not updated, please do not call the Post Office. They will not have any additional information to provide you. Sometimes tracking does not update right away. This does not mean your order has not shipped. It simply means the post office has not scanned the package. Please allow up to 5-7 business days (USA) for your order to arrive after you received the tracking number. International orders may take 15-20 business days to arrive. If this time has passed, and your order has not been delivered, please email us at jazzykutz@gmail.com. The US Postal Service does not guarantee the delivery date and time of your package for standard/ first class mail. Guarantees are only available with Express mail. First-Class can take 3-7 days longer than normal to deliver during the holidays (especially during the month of December). Style Format Boutique is not responsible or liable for any US Postal Service errors during transit, including damage and loss of package, and for any “reasonable” delay beyond our advertised delivery time-frames. First, please check the status of the tracking number provided to you. If it states your package is undeliverable, please email us at jazzykutz@gmail.com and we will instruct you on how to proceed. If we get your package in the mail, we will contact you via email to request an updated shipping address so that we can resend it to you. A small return shipping fee will be invoiced to you to cover return shipping costs due to the unclaimed, invalid/undeliverable address provided to us. This will need to be paid prior to us re-shipping your package. Please be sure to enter your address correctly to avoid delays in receiving your order. Does Style Format Boutique Ship Worldwide? Is Style Format Boutique website safe? At SFB, we understand how important security is to you. When you place an order on our website, we encode your information using Secure Socket Layer (SSL) encryption technology. This is the most advanced consumer online security technique to date. You can be assured that your order will be placed safely and securely. 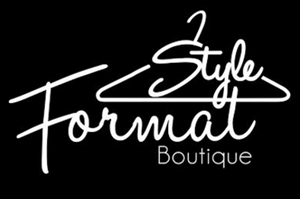 Does anyone else see the information that I provide to Style Format Boutique? Where can I buy Style Format Boutique apparel near me? ALL SALES ARE FINAL. Due to the nature of this product, we do not give refunds or credits. Please email jazzykutz@gmail.com for any other questions or concerns. A representative will respond within 24-48 hours. All items are thoroughly checked and weighed prior to shipping. If an item is damaged, missing pieces or wrong item sent, please contact us within 24 hours from the date you received the package. Please be sure you checked the entire contents of your package. If you do not contact us within 24 hours, Style Format Boutique will not be responsible for the items.